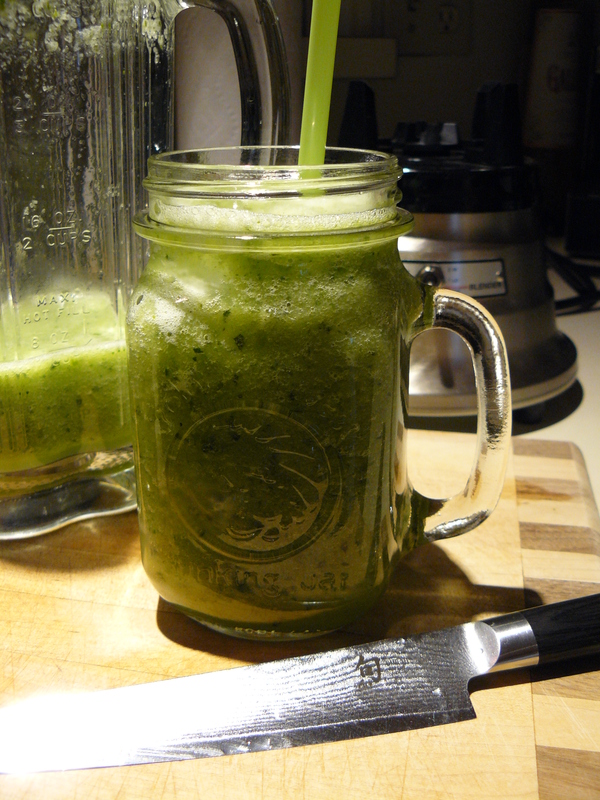 With a quick blitz in the blender, you can be cool as a cucumber–or maybe even Joe Cool. 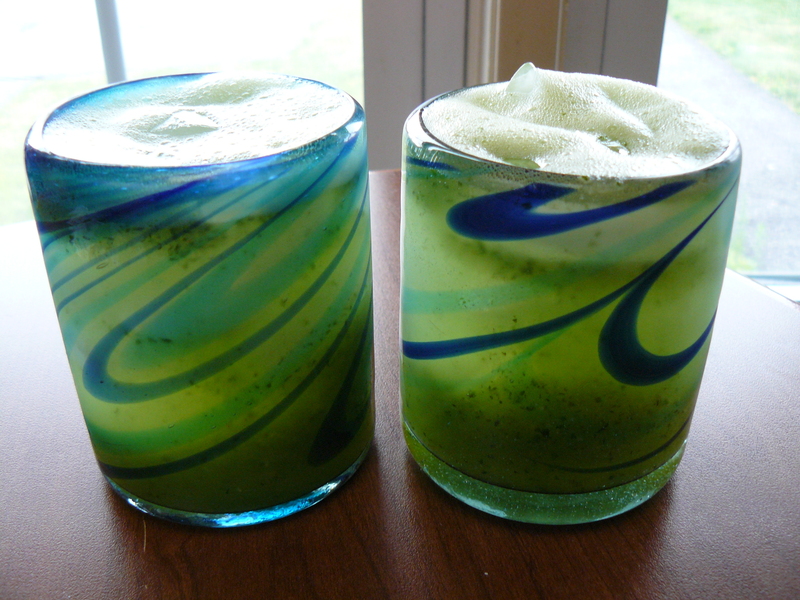 Agua fresca is enjoyable on its own or fun to spike for warm weather drinkin’! Ready for how easy and tasty? Put all the ingredients in a blender. Turn it on and blend till it gets nice and frothy. That’s all there is to it! Pour over ice. Add a splash of seltzer on top if you like, or start with a couple of ounces of vodka (or your weapon of choice). CLINQUE! 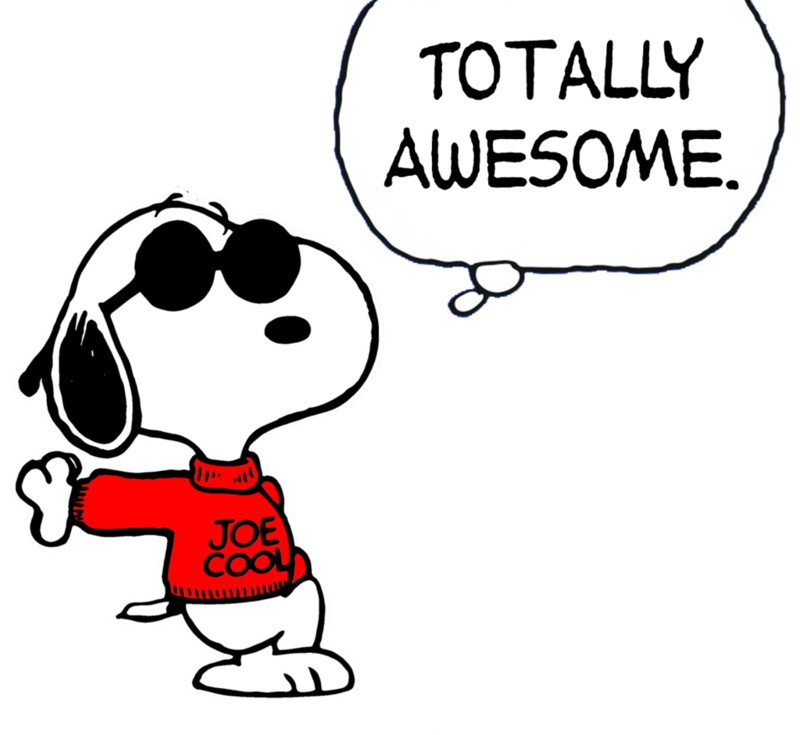 Stay cool, amici! Calling all chocolate lovers! 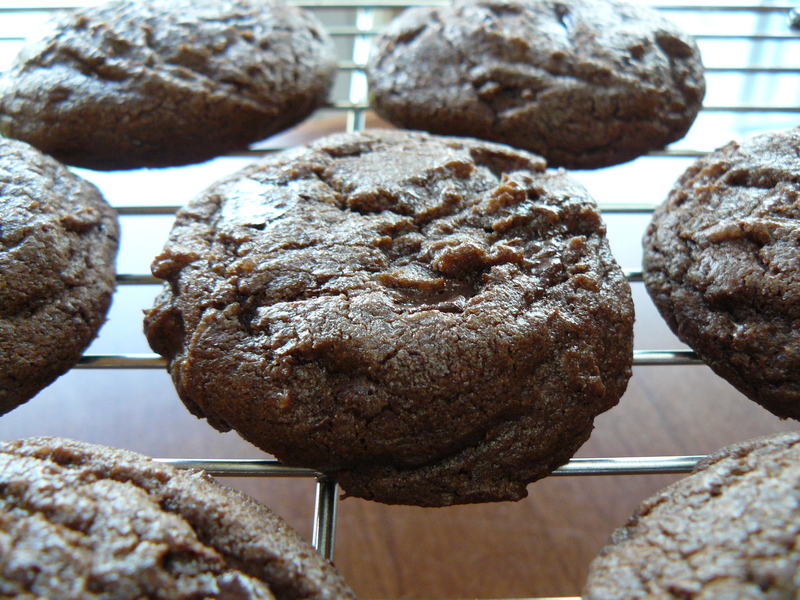 If you love chocolate chip cookies, you may quite possibly love double chocolate cookies even more. Double your pleasure, double your fun after all! Sift flour, cocoa, baking soda and salt into a separate bowl. 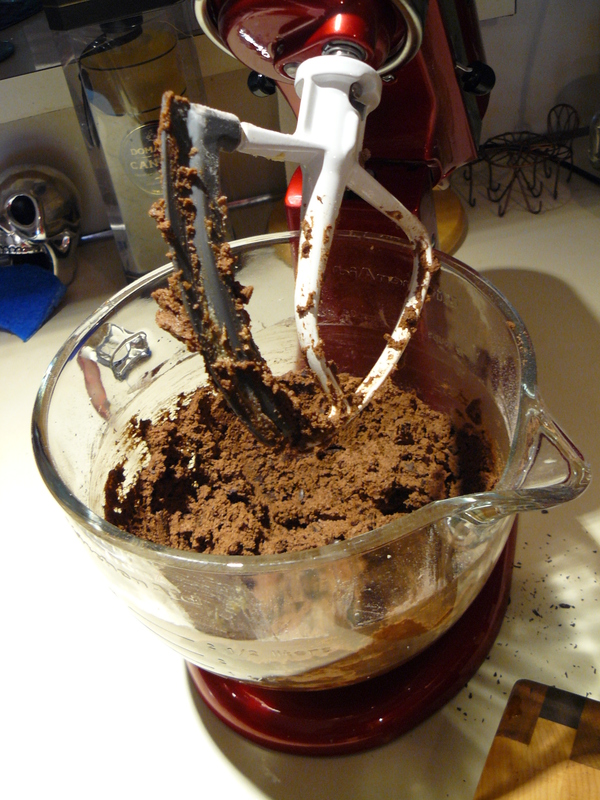 With mixer on low, slowly add dry ingredients. Mix only until combined: do not overmix. Fold in chopped chocolate with a spatula. If you can wait (! 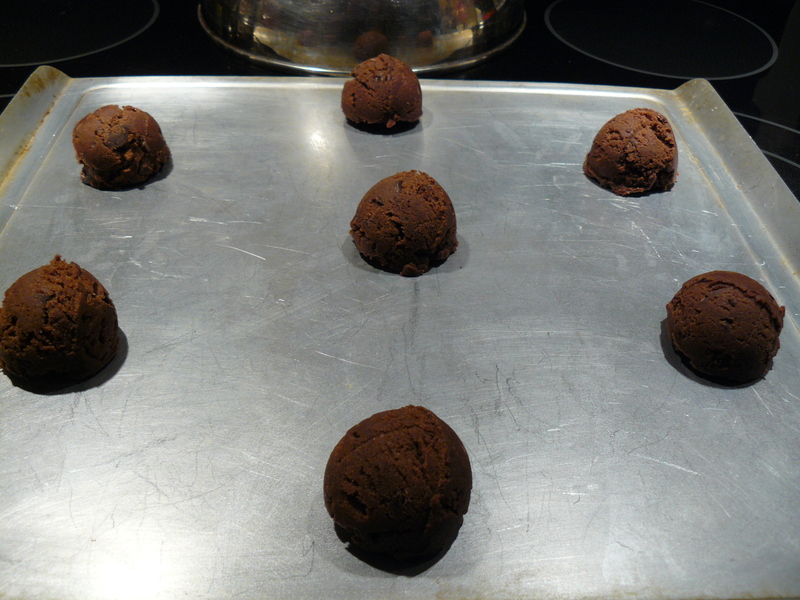 ), refrigerate the dough overnight, or better still, for 24-36 hours to let the flavors develop. Not patient? You will love them regardless. Preheat oven to 350 degrees F. Adjust racks to lower and upper thirds of the oven. Bake 7 minutes on one rack, then flip the baking sheet’s direction and bake 7 minutes more on the other. I used my medium ice cream scoop to these a bit bigger than my usual cookies. Space them 2 inches apart. 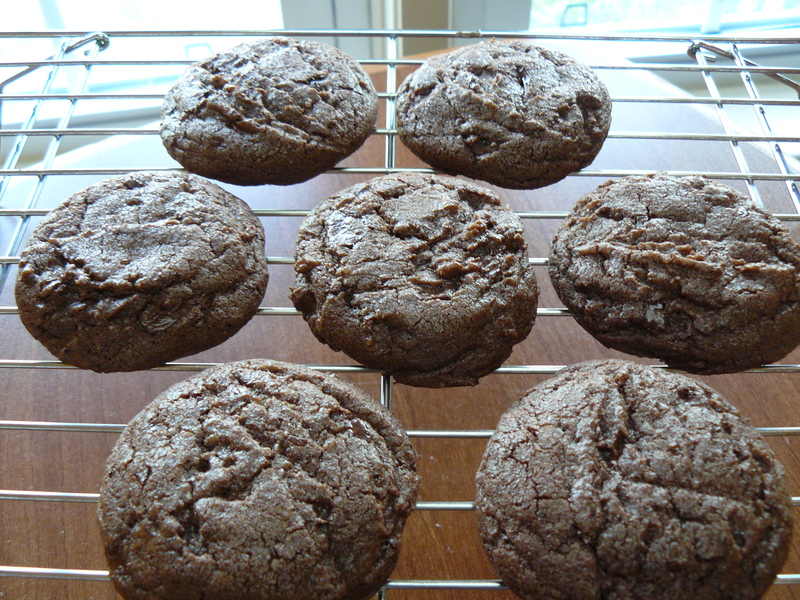 This recipe yields 18-19 double-double chocolate-chocolate cookies-cookies. Enjoy them! NOM NOM NOM!